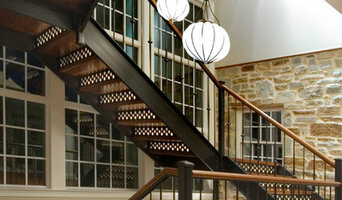 Since 1947, Paragon Stairs has built our reputation as the most consultative brand in the industry. Our customer-focused process is paired with a wide range of high-quality products to meet your stair needs. Paragon covers every step of the process, including budgeting and post-installation questions. Wooden Stairs and handrails. 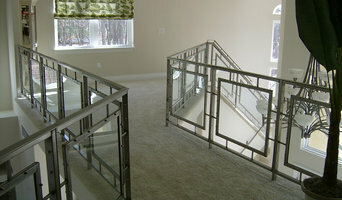 Iron Balusters, including replace wood with iron. 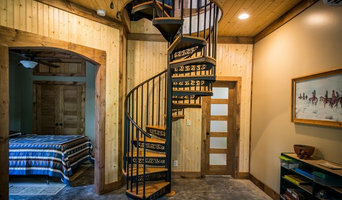 We manufacture custom stairs and handrail systems Our knowledgeable team will design your staircase to meet your criteria, offering you selections, and providing you with detailed plans to approve prior to the construction. There are many choices to be made, from style and shape, to size and material. We will be with you step by step to help you decide what works best for your needs, while staying within your budget. From the simplest stair to the most dramatic, we can make the process clear and easy. Your satisfaction is our goal. A skilled group of craftsmen will then build and install your staircase and railing system, ultimately providing you with a quality finished product you can be proud of. 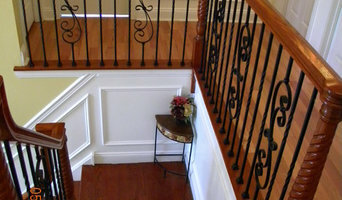 Hackman Custom Woodworking is a stair manufacturing and rail installation business. All stair systems are built in our in house shop to the customers specifications. We offer top notch craftsmanship and a full supply line of wood and Iron balusters. We use the Tangent Rail System - a time-tested method of cutting the rail out of a solid block of wood - we can make a handrail to fit any stairway. We specialize in making graceful transitions out of difficult changes of pitch or radius with elegance. Our custom-made solid wood handrails are the product of choice for the most demanding architects, designers, and consumers.